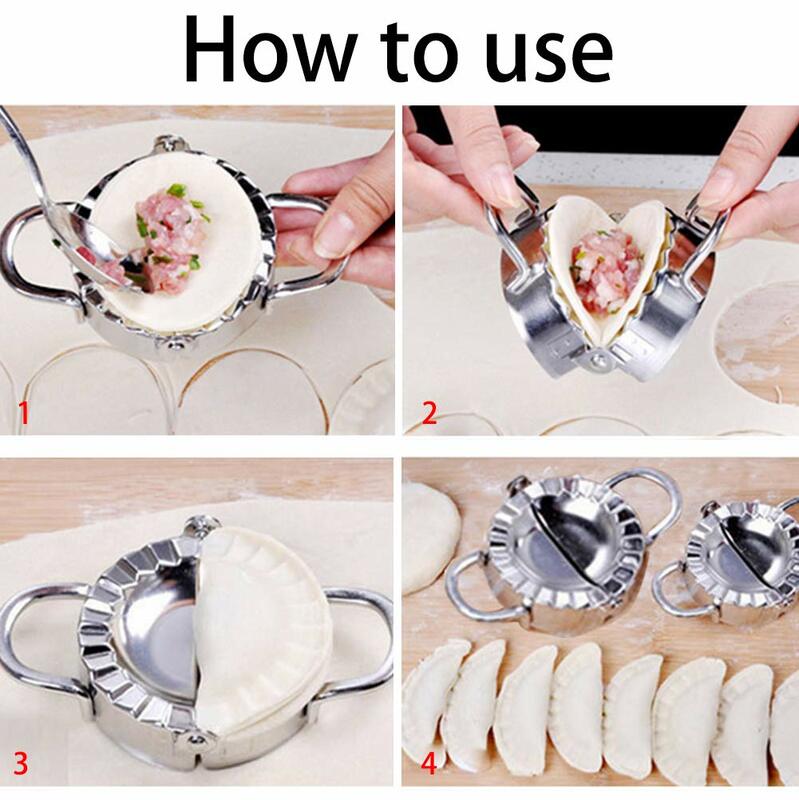 Lay a sheet of dough or pasta over the Yummy Dumplings Maker, add a dollop of filling, flip up one side to cut, seal and crimp the edges, creating a perfect little packet in seconds! 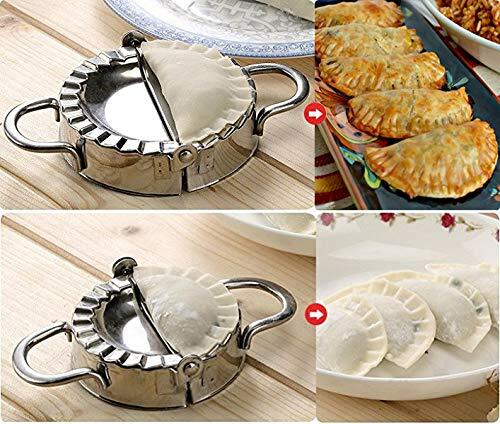 Ideal for ravioli, pierogi, dumplings, turnovers, mini spinach pies, bite-size calzones and more! 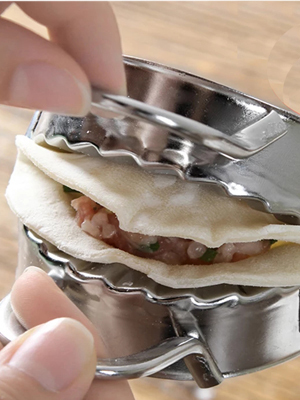 Simple Operation : Specially designed handles; lay a sheet of dough or pasta over, add filling then press. Place dough wrapper on the open press. Add Your favorite filling. Moisten edges of wrapper with water and press firmly to close and seal. 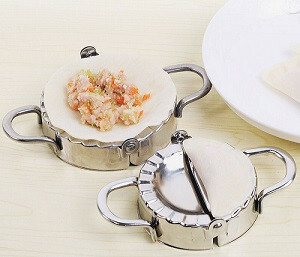 Remove the finished dumpling from the mold and boil, bake or pan fry according to recipe.